What if everything you knew about zombies was… well, if not exactly wrong, at least somewhat up to negotiation? Author Diana Rowland asked herself this question while thinking about the subject of her latest book, My Life as a White Trash Zombie, and by using her BRAAAAINS (yes, yes, I know, I’m sorry I just did that too), gave on an established set of zombie tropes some new life. What did she do? It’s time to find out. Fun fact of the day: In an average, run-of-the-mill autopsy, the internal organs—including the brain—are removed from the body for closer examination by the pathologist. However, when said autopsy is complete, the organs aren’t put back into the body, but are instead placed in a container or plastic bag and are sent to the funeral home along with the body. The first time I put a brain into the plastic bag, I—being the nerd that I am—joked that it was a waste of a good brain, and that any self-respecting zombie would be more than happy to feast upon such. It says a great deal about the people with whom I worked that they found this funny instead of horrifying. The more I thought about it, the more I liked the idea of a zombie who worked in a morgue for easy access to brains. However, at that time I was shopping my novel, Mark of the Demon, to agents, and wasn’t in a position to dive into another project. Therefore I simply made a few notes, and set the idea aside. My demon book sold not too long thereafter, and thus I figured it might be a few years before I could think more about zombie morgue-workers. Unfortunately, the publishing world had different ideas, and shortly after Mark of the Demon hit the shelves I found out that a reorganization within the company meant that I—along with many other authors—were not going to be offered contracts for more books, for reasons that had little to do with our sales numbers. Obviously, it was a story that needed to be told from the zombie’s point of view, which also meant that I had to jigger with the “purist” concept of zombieism—the one that defined a zombie as being a mindless, ravenous creature. However, after a good deal of research, I discovered that, for all intents and purposes, there was no such thing as an original zombie story. Every author or filmmaker who’s ever put zombies into their stories has made up their own rules, which meant I could do the same. And, I did. I decided that my zombies have to eat brains in order to stay “whole.” Without them they rot, turn mindless, and get very, very hungry. Now I needed my character. I didn’t want this to be a depressing story about someone whose life was ruined by becoming a zombie. Instead, I decided that this needed to be the best thing that could have ever happened to my character. She needed to be a loser, without prospects, with nowhere to go. She had to be someone who couldn’t hold a job, who suddenly had to hold a job, i.e. working in the morgue so that she could get the brains she needed. And thus my main character was born—a high school dropout with a pill and alcohol problem, a felony conviction, a loser boyfriend, an alcoholic dad, and a bad attitude. Going back to the death of my writing career (yes, I’m being all metaphory again! ): My wonderful agent was doing his very best to find another publisher to take on my Demon Summoner series. 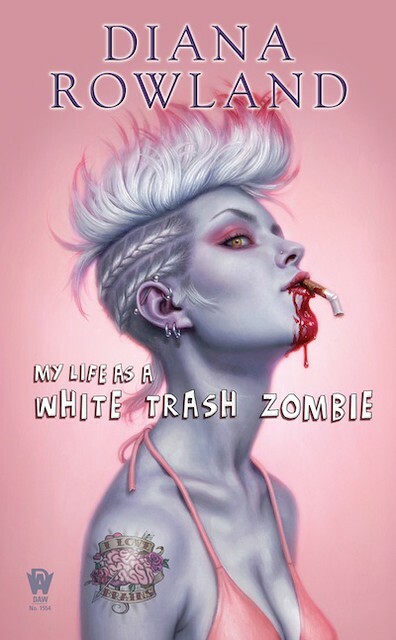 However, since I knew the chances of that happening were quite slim, I went ahead and wrote up three chapters and a synopsis of My Life as a White Trash Zombie, and sent it to my agent, who in turn sent it to Betsy Wollheim at DAW. Less than a week later I received word that she wanted to buy three White Trash Zombie books. Oh, and she also wanted to pick up my other series, and offered to buy three of those books as well. And now I shall beat you to death with the metaphor: Getting dropped by my first publisher was the best thing that could have happened to me. Like a zombie on brains, my career has new life. And a new series! frankenstein’s monster may qualify as the original zombie story. I am trying to think if there is anything in the ancient greek myths that had an actual dead corpse that was moving around, but its too early in the morning and I am off caffeine for awhile. The reavers from Firefly/Serenity were a kind of zombie as far as I can tell. of the intelligent and fast moving variety. Like the ones in the Will Smith version of I am Legend. slow shambling zombies seem more common but there doesnt appear to be any hard and fast rules. I think any story that plugs into the fear of being buried alive might touch the zombie trope. I will say that the zombie on your cover is in a lot better shape than most zombies. no huge gaping wounds that dont bleed because no heartbeat. Would you call that a “loose canon” then? No, I suppose not. Most people wouldn’t stoop that low. I like the idea of a zombie as a character instead of a mindless force of nature. I’m a sucker for the underdog, so of course I want to know the zombie’s side of the story. I think there is a slim chance I dated her cousin. I love “ick and gore.” Do tell! Man, that is one awesome cover! Oh, and she also wanted to pick up my other series, and offered to buy three of those books as well. So that means two more Det. Gillian books in addition to Secrets of the Demon. Sweet. P.S. 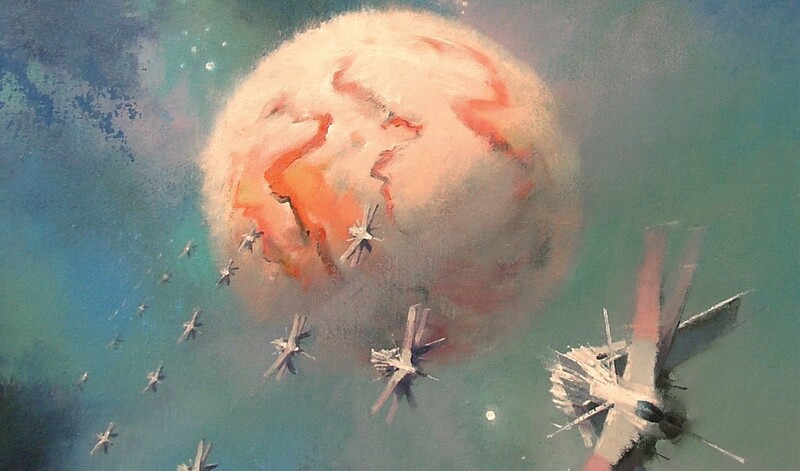 I hope Dan Dos Santos does the covers for all the books. He’s fabulous! @ #4, I have to disagree, I think the cover is really unpleasant and repulsive. I’d never pick this up at the bookstore for a closer look. I think it’s a great cover! It’s a ZOMBIE book, sheesh. I went and bought it after reading this post. (Also, it might be just me, but does it look like the cover model is Pink? The hair, the look — all Pink). I love new takes on the zombie theme too, and the sample chapters completely sucked me in! Wow. You know, I am pretty sick of zombies. Not a fan. Normally I skip right over Big Idea posts that mention zombies. But… well, the autopsy discussion in the first paragraph made me want to read it. And then I just kept reading, and now I have to have the book. This is probably the most intriguing, fresh take on zombies I’ve ever seen. Plus, there’s a serial killer. You did that just to make me read the book, didn’t you? I have no choice now. I’m usually not a fan of Zombies. But I think its their mindless, pointless killing that just icks me. I like the idea of making them into people. I always like it when the monsters are the good guys. I will be making a purchase. @Greg Headless Horseman could be a zombie. But upon looking it up, it was published 2 years after Shelly published Frankenstein. I love this – definitely going on my read list. If only for the bio – morgue worker-turned cop-turned novelist. And she can really use a metaphor thingy in a tight spot. Kudos. Oh! I’m a huge fan of the Demon Summoner series. 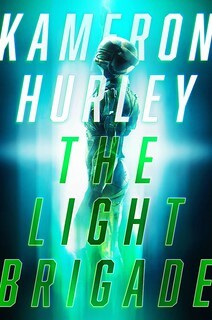 I had seen this cover linked around the intarwebs a few times but hadn’t seen the author’s name attached to it. This is going on ye olde Kindle asap! hm, prior to the renaissance, I would guess that all stories involving animation after death were talking about the supernatural afterlife. greek mythology might have life after death, but its likely people going to the underworld across the river styx. or lost souls, ghost stories. not until religion had at least some disconnect from life and death would the idea of the physical body moving even though it was ‘dead’ be feasible. if life and consciousness resides in the soul, then the body would have no means to move after death takes.the soul. if life and consciousness is in some way a reflection of matter, then a story about building a man would be believable sci fi. OK, let me add myself to that group that screamed when I saw that the next Demon book was not until 2012. I also count myself in that vast minority that was not crazy about the cover art. So with all that said I love the book and I have only read a few chapters. I am glad to hear that there will be at least 3 of them but I fear it will have a small audience due to preconceived notions but things have a way of changing (example: Walking Dead on TV, who would of thought :). Good writing is hard to find in this genre (there are a lot of good storytellers but few good writers) that just means there are authors that entertain but the really good ones get you engrossed into the story, Patricia Briggs always comes to mind. Seems Ms Rowland will have to be added to that elite group. 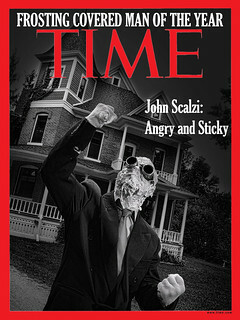 Loved the Cover Art, read the first page and bought it before I saw this post on Scalzi’s. So congrats on finding a good matchup that “gets” you and your writing. Went to her website, read the first couple of chapters of My Life As a White Trash Zombie, the hook was set, turned on the wifi on my COLORnook, Barnes and Noble here I come! I’m not usually a Zombie fan – there’s not much in the genre that I’ll read. But this one sounded intriguing enough that I purchased it as an eBook. Just finished reading it pretty much straight through. Loved it! Thanks for introducing me to another author who goes on my ‘must read’ list. I bought the book yesterday, and I’m now most of the way through it. Very worthwhile! Go out and get it! The draugr of old Norse legend are as close to the movie zombi as any myth I have read. They also have similar magical and shapechanging talents to those attributed to vampires. The Sagas were written down in the thirteenth and fourteenth centuries. There is a cauldron of rebirth or Pair Dadeni in the Welsh stories in the Mabinogion, again first written down in the fourteenth century. The warriors revived by the cauldron are unable to speak. Of course, in China it is well known that you should not build a cemetery on a dragon line or the excessive earth chi will reanimate the corpses into “hopping vampires”, the jiangshi. Various stories give other origins for the jiangshi. Among the ancient Greeks it was said that the blood from the left side of a Gorgon would kill you while the blood from the right side would raise you from the dead. Asklepios may have used this in his raising of the dead which, of course, led to his murder by Zeus. Sisyphus tricked his way back to life. Alcestis was rescued from Hades by Heracles. The traditional Haitian zombi is not really feared, it is the evil bokors who might turn you into a zombi that are feared. It is not an infection passed from one person to another but a deliberate act of transformation by poison and ritual. The film zombies have more in common with the ghoul of Arabian mythology, though that is said to be a demon rather than a revenant. They hang around in graveyards and grab people and devour them. They can also take on the appearance of someone they have eaten. Mentioned amongst the tales of the thousand nights and one night. Oh, and there is a first person (conscious or it would be a boring book) zombie private investigator in Nekropolis by Tim Waggoner. Not the greatest literature but I enjoyed it. I absolutely adore the cover art. I’m not wholly keen on the whole Zombie craze, but I nevertheless think it’s magnificent! As a big fan of Diana Rowland since her first Demon book — have read the 1st three and have her 2012 one (Sins of the Demon) pre-ordered on Amazon — I naturally pre-ordered White Trash Zombie as soon as I knew about it. Unfortunately, my wife (who is also a fan of the Demon books) grabbed White Trash before I could get to it. She’s reading it now and she likes it. And I’m enjoying it a great deal, thanks for a hint on another good book I wouldn’t have otherwise discovered. I must add my voice to the “I’m not usually a zombie fan, but…” chorus. I bought this book on Amazon after reading Ms. Rowland’s Big Idea post…and I love it! Haven’t finished it yet, but that’s for reasons having nothing to do with Ms. Rowland’s writing ability. You’re trying to bankrupt me, aren’t you, Mr. Scalzi? This is at least the third book I’ve purchased since seeing a Big Idea post. I’m sure others who read you have me beat on that score, but still. For shame!